When I was young, there was a magazine I absolutely loved. I would sit at my battleship-gray IBM Selectric typewriter that weighed as much as a ship’s anchor and type my stories, and dream I would see my name on the cover of this magazine someday. 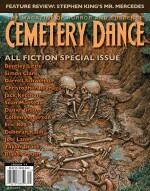 That magazine is Cemetery Dance. Today that dream comes true. I would love to thank Constantine, and include a link to his or her homepage, but I’m afraid I have not yet been able to find out who Constantine is. If anyone knows, please drop me a line, because I’d love to thank them personally. According to Richard Chizmar, it’s been a decade since they did an all-fiction special issue. 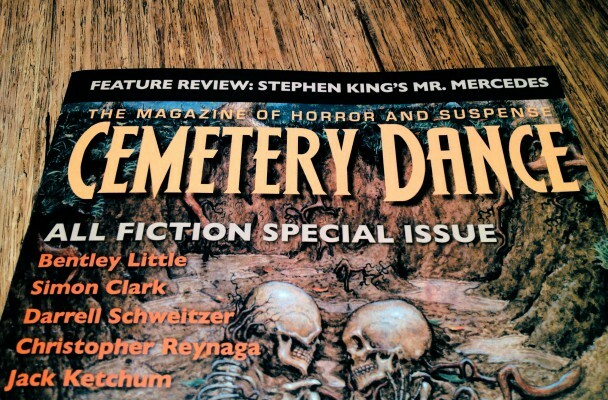 As much as I love the regular features, it’s a treat to read so many fantastic stories from the likes of: Bentley Little, Simon Clark, Darrell Schweitzer, Jack Ketchum, Sean Manseau, Daniel Braum, Coleen Anderson, Eric Red, Deborah Kalin, Joel Lane, Taylor Grant, and Blake Crouch. 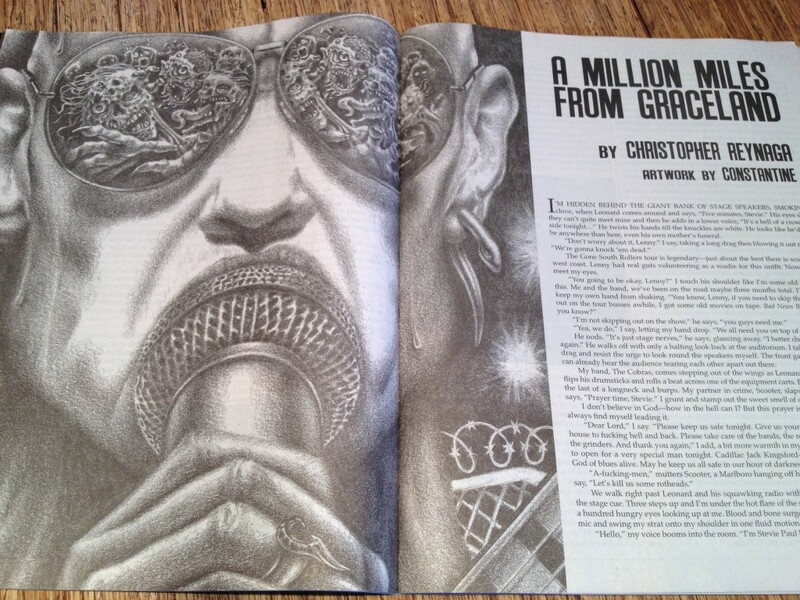 Grab it from your local news stand, or order yourself a copy here. I will be appearing on the Titanium Physicist Podcast! Cemetery Dance has always been a gateway for dreams! Glad you stepped on through!